Download Hour1 Download Hour2 This week we begin an audio adaption of the best film that will ever be made on Operation Gladio, Allan Francovich's famous 1992 expose. To introduce it, a 90 minute talk from Lance deHaven-Smith on State Crimes Against Democracy (SCADs) - a term which he thinks we should start using as a prelude to prosecuting those responsible. When asked what to do about this, his answer is simple - the laws on the books provide clear guidance for what should happen in the case of 'State Crimes Against Democracy'. If the 'Western Democracies' started to living up to their own high promises of obeying the rule of law, things would be much improved. This is, admittedly, no simple matter, but he states that changing the dialog (as the Occupy movement has done) is a good first step. He introduces his term SCAD as a replacement for use of the term "conspiracy theory" - which as we have heard before, is a tool introduced by the CIA to counter opponents of the Warren Commission. He surveys a number of such events (which the commercially-controlled media might refer to as "conspiracy theories") and observes various patterns, such as the CIA's 1950's techniques for government subversion and political assassinations being applied in the USA in the 1960s. 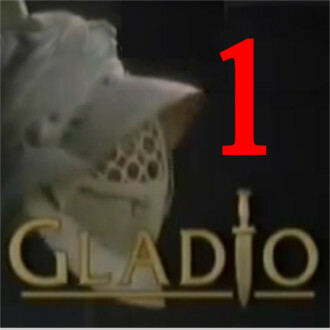 We start a radio adaptation of Alan Francovich's 1992 Expose of Operation Gladio. This is the most ambitious radio adaptation yet attempted by the Unwelcome Guests Collective, since the vast majority of the film's 50 or so speakers are non-English speakers which we have dubbed in. This page was last modified on 29 May 2016, at 07:17.